Race results/race report Kuurne-Brussels-Kuurne 2016. Or read about the route and the start list. Sunday, February 28, Kuurne-Brussel-Kuurne will be held. Big names such as Peter Sagan and Alexander Kristoff are at the start, next to young guns Caleb Ewan and Jasper Stuyven. All of these fast men have one thing in common: they want to dethrone Mark Cavendish. Cyclingstage.com brings you the startlist of Kuurne-Brussels-Kuurne edition 2016. Kuurne-Brussels-Kuurne and sprinting are almost identical. But different scenario's are not impossible, remember the Bobbie Traksel victory in 2010. Cyclingstage.com brings you the major contenders in Kuurne-Brussels-Kuurne, edition 2016. 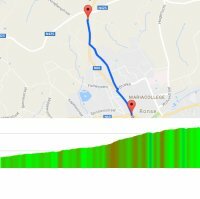 Sunday, February 28, 2016 – As always, Kuurne-Brussels-Kuurne features not a glimpse of Brussels. The most sprinters friendly of all Flemish Classics leads to Ninove and then turns back to Kuurne via Geraardsbergen. Totalling at 200 kilometres, the last 50 kilometres are flat. Cyclingstage.com brings you the route of Kuurne-Brussels-Kuurne 2016.